A cleaner trip to the potty: Take a quart or gallon sized baggie. Place in the following items: disposable potty seats, flushable wipes, hand sanitizer, & post it notes. The potty seats you can find in baby sections of major stores. The sticky notes are to put on the automatic flusher sensor, so that the toilet doesn’t flush while your little one is still on the potty. I have never had a problem at Disney, but I still like to have hand sanitizer for just in case. Traveling with babies & Toddlers : Some tips to make traveling with the 3 & under kiddos a little easier. Keeping the kids busy while waiting: I have a few tricks I use to keep the kids busy while waiting in line or in a restaurant. I let each child pack a baggie full of Disney figures to bring on the plane. These come in handy for hotel as well. Target always has Disney/Star Wars/Princess themed notebooks, pens, stickers & coloring book packs in the $1 section. I will pick these up through the year and hide them. When the time comes to pack for WDW, I have a stash to use. I make a gallon bag for each kid with pens, new washable crayons, notebooks & stickers. They don’t see these until we are in the airport. A new notebook and some pens will keep them busy forever! I save the coloring book packs (you know the ones with book, crayons & stickers all in a resealable bag) and throw them in the backpack for the parks. They get pulled out while waiting at restaurants or for a bus. We also play a game while waiting in lines called “Name that Disney Character”. Basically, it is 20 questions but you can only use Disney. My husband is really good at coming up with obscure ones! You can switch it up and change to “Name the Princess”, “Name the Star Wars”, or “Name the Pixar”. I stumbled onto your website and loved it-especially all the little extras you pack for a trip. I thought I was all alone on that front-down to the $1 section of Target and glow bracelets and necklaces! I just thought I would give you another tip that you could use if you already haven’t! The lids off of frosting containers or Pringle cans work PERFECTLY as spill catchers for those favorite Mickey Ear ice cream! Just use a knife to cut a small slit in the lid and then slide the popsicle stick through and it will catch all the drips and save your children’s clothes 🙂 Also, the tubes that mini M&Ms come in at the checkout are perfect for stacking change for penny press machines. Just stack 2 quarters then a penny, 2 quarters then a penny and you will always be ready to go! Snack & Drinks: I know it sound crazy, but I pack a bag of snacks and drinks. I pack shelf stable milk, juice, breakfast foods, pretzels, cheeze its, goldfish, raisins etc. in plastic bags and then pack an entire suitcase with them. We use them throughout our trip and then we have an empty bag for souvenirs. I also pack tons of plastic bags in various sizes. I bring them with me in the backpack and use them for everything. We get popcorn for the parade and I can give everyone their own portion without any fuss. Didn’t finish that bag of pretzels? Pour them in a bag for later. Wet clothes…there’s a bag for it! The odd things I pack: I pack some very strange things and not so strange for Disney trips. This post is the list and why I bring them! Shipping: Did you know you can ship a package to your resort? We did this last Christmas with our decorations, gifts for the kids, & wrapping for additional presents. I did a second box with snacks, drinks, ponchos & dress ups for the girls. I called UPS to see when I should ship for our arrival date, since we were traveling during the holidays. It was in the business center when I arrived (some hotels hold it in bell services). Here is a great source for the address for each resort. I also have a previous post that goes into greater detail. Laundry: I always do laundry at least once on a trip. Why would anyone want to do laundry on vacation? Aren’t you trying to get away from all that? In the resorts, laundry costs $2 a load to wash and $2 to dry. I bring quarters specifically for laundry day. I also pack detergent and dryer sheets, now a couple brands have little packs that you just throw into your load. I just wash everything together on cold. I usually plan for a midday break halfway into the trip to swim and relax. Usually the laundry facilities are near the pool, so we throw in a load, swim, take a break to switch, swim & get dry clothes on the way back to the room. When is it appropriate to tip at WDW? How much do you tip? Check out this article about tipping at Disney. 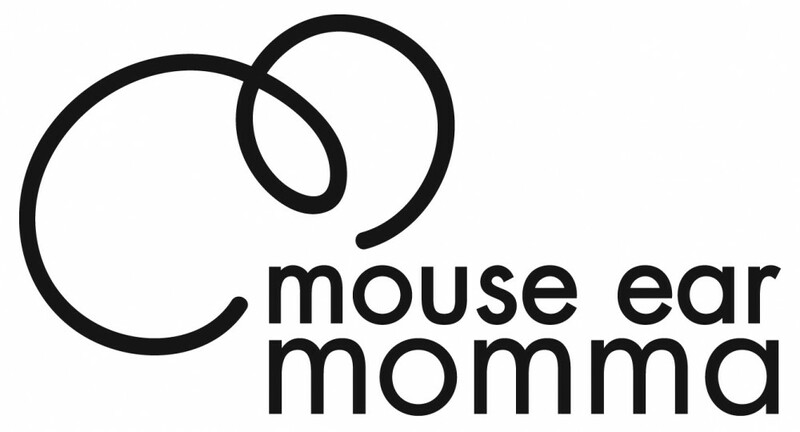 Email me your details and specific questinos at mouseearmomma@me.com and I will be happy to help! Email me at Mouseearmomma@me.com to talk about your upcoming trip.